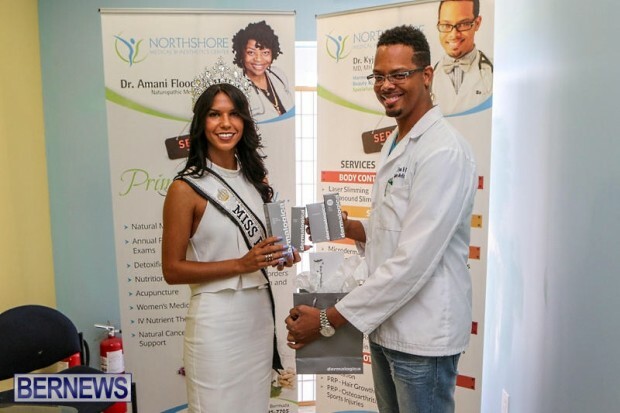 Northshore Medical & Aesthetics Center [NMAC] recently held a presentation for Miss Bermuda Alyssa Rose and NMAC Acne Awareness Video Competition winner Miss Pembroke Ligaya Sanchez-Wilson. 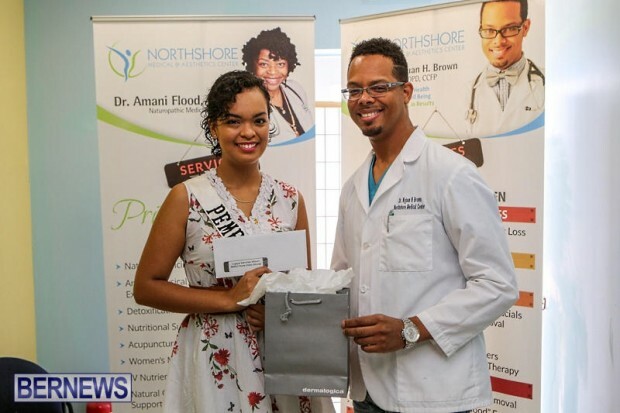 Ms. Rose was awarded a $1,000 NMAC gift certificate and a year’s supply of Dermalogica skin care products, while, as the winner of the NMAC video contest, Ms. Sanchez-Wilson was awarded a $500 NMAC gift certificate. 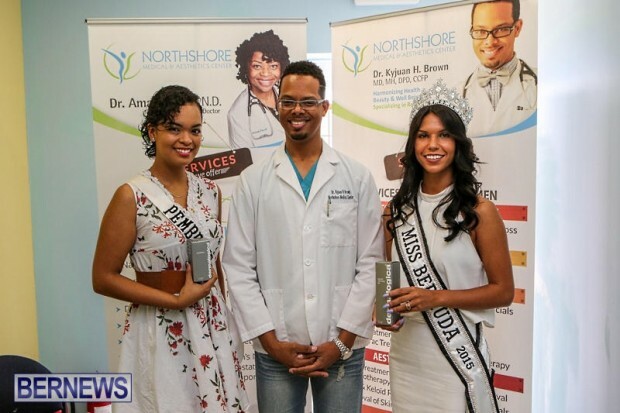 Ms. Rose, who represented Smiths, won the 2015 Miss Bermuda pageant, while Ms. Sanchez-Wilson was the People’s Choice winner. Voting for the NMAC contest was held until July 12, with the videos submitted by the young ladies still available for viewing online.